In my upcoming novel, A Portrait of Love and Honor, Ava Stuart dreams her dream and goes on to live it. She takes a risk, dares her way out of her comfort zone . . . loving deeply and completely. Along the way, Jay Scioli challenges and confronts his demons . . . and his naive and youthful dreams of honor and glory. He moves toward a greater understanding of himself and the impersonal systems that tarnished the dream he once revered. Moving out of one’s comfort zone is a trending theme in many areas of life, not just in books and literature. Yet some never leave the “comfort zone" . . . that place or situation where one feels safe or at ease and without stress. In my own life, I realize how easy it is to become complacent – especially the older I get. It is easiest to stay in my bathrobe in the comfort of my warm living room or study, writing and blogging the morning away. 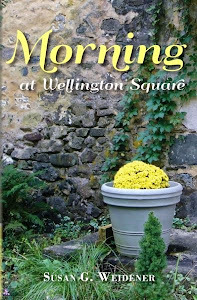 An upcoming trip to Tucson, Arizona, while invigorating at the thought of sunshine, the warmth of that desert oasis, planning a small memoir workshop and book signing, still takes huge effort of will. Taking a trip means arrangements for the dog must be attended to, traveling to the airport, picking up the rental car, getting to the studio suite I have rented . 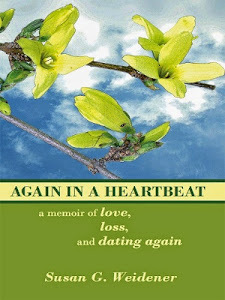 . . driving to a friend's up in Scottsdale to talk about memoir writing. But as I have said before on this blog, the writer must continue to challenge herself, taking in life’s fullest potential and possibility each day. As a journalist, I realized long ago that I can only understand the human condition by opening myself up to others, meeting new people, being passionate about this business called “life”. "Sales strategies, in order to maximize profits, are not the same thing as responsible book publishing"; authorship is not “letting commodity profiteers sell us like deodorant and tell us what to write" . . . Accepting the status quo seems at odds with the writer’s lot in life, or if it isn't, it should be. Whether or not our book has “marketing potential," we write that which is the unspoken, the unmentionable . . . challenging ourselves and our readers to dig deep . . .
My friend sent me this quote by Neale Donald Walsch: "Life begins at the end of your comfort zone." In A Portrait of Love and Honor, Jay questions and moves forward and grows as a man. Ava, relearning the importance of taking a risk – and moving away from her insistence that it is better to “stay out of the mess of other people’s lives” – discovers the freedom to fully love another human being. Together, Ava's and Jay's pluck and determination lead to an authentic life. 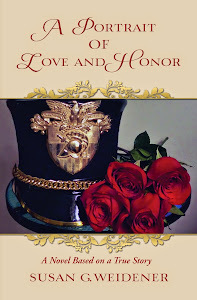 As the weeks go on, I'll be blogging more about the themes in my upcoming novel, A Portrait of Love and Honor. I invite guest bloggers to join in the conversation with their own posts about the comfort zone, as well. 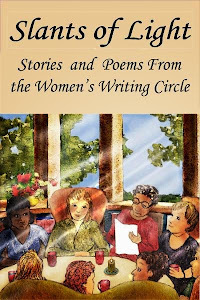 Guest blogger guidelines for the Women's Writing Circle are here. Or . . . I'd simply love for you to share your comments about this post.